I guess I’d better err on the conservative side and not put anything at all into this bin! Wouldn’t want to get in trouble for not following directions! 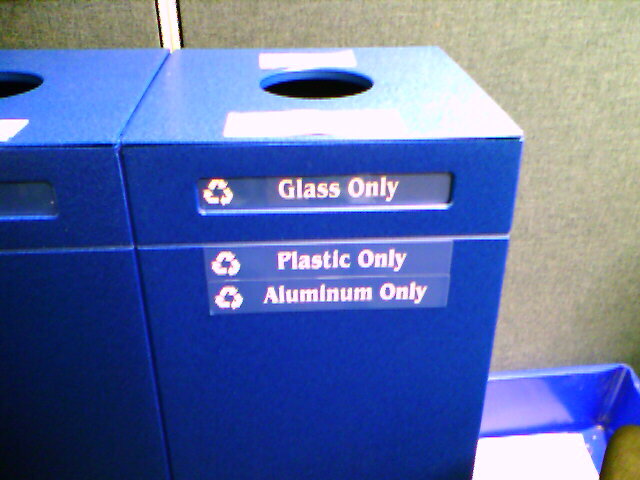 This confusing recycling bin was found at the greatest manned launch complex in America, the Kennedy Space Center. Without giving away the exact location of the offense, it was found inside a building that is known for it’s Super Salty Pomegranate Fence, if you know what I mean. Can’t NASA make a simple stairwell sign? What is the deal with this sign? Not only is it confusing … but it has some random space characters thrown in there to break up some of the words … and it has a few font changes in there also just in case you weren’t confused enough already. 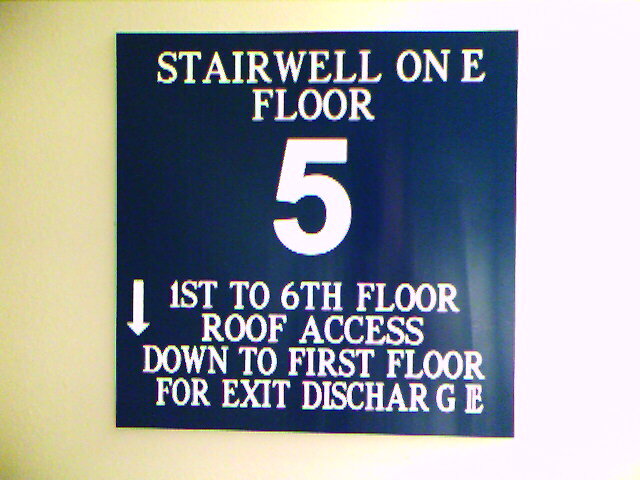 Obviously, this is a sign whose purpose is to show me where the “stairwell one floor” is. 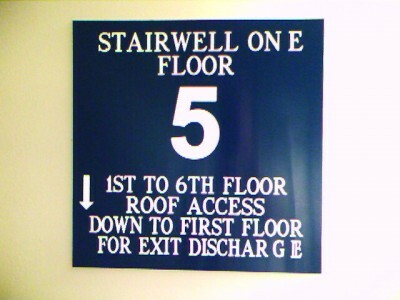 Or maybe it’s “stairwell on E floor”? Whatever … I still haven’t figured out the purpose of the down-arrow. And who came up with the phrase “for exit discharge”, anyways? Do they even speak English at the sign shop? This sign was found in the stairwell of a very popular building at KSC. It’s an Odd Shaped Building, if you know what I mean. Red indicators mean everything’s fine? I was turning the lights off in the house a few nights ago and my eyes were drawn to the bright indicators coming from our new phone in the living room. Not one … not two … but three separate RED indicators were glowing and getting my attention on the main phone cradle, which doubles as an answering machine. Was the phone in trouble? Was it screaming for my help? Was it about to die or self-destruct? Nope. These three red indicators happen to be completely normal for this model of phone. The little red line on the left is supposed to tell me that the phone is charging or is fully charged. It would cost a bit more to design and implement, but wouldn’t it make a lot more sense to use red for charging and green for fully charged? What about a slowly blinking green for charging and a solid green for fully charged? Why is the manufacturer using a red indicator for a state that the phone is going to be in for 99% of the time? Isn’t red supposed to indicate an abnormal situation or a problem to the average user? 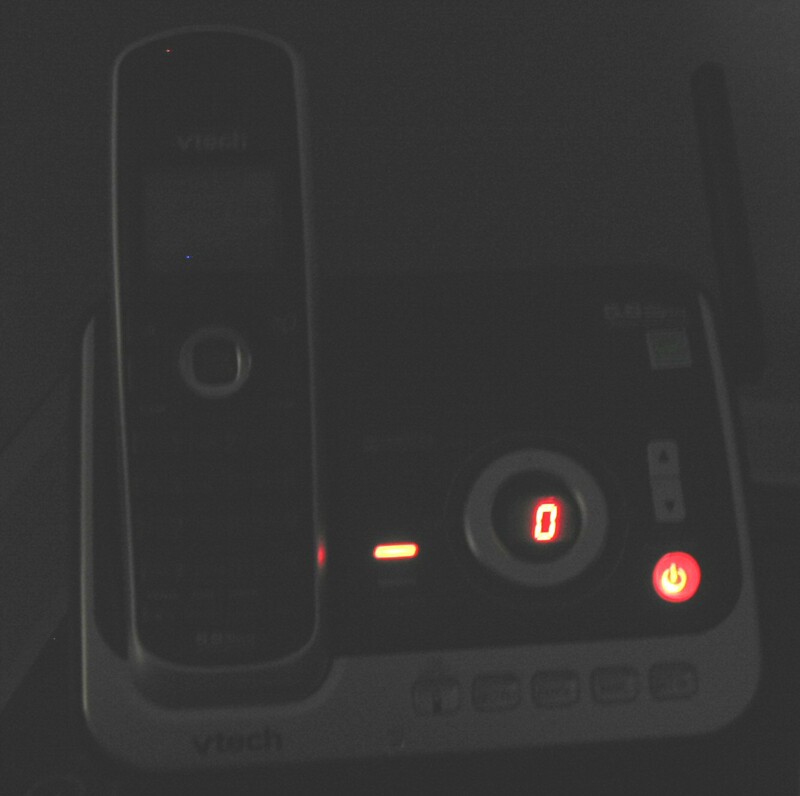 The light on the right tells me that the answering machine function is turned ON. Again, that’s the normal mode for this device. Why red? I think green would be much more appropriate here. The red number in the middle tells me how many messages are stored on the machine. It flashes when there is a message on the machine that we haven’t listened to. I think either red or flashing slowly is appropriate for new messages, but probably not both. Using both red and flashing is overkill in this case. And using red to tell me the number of old messages is not appropriate. Green would be nice. I suppose after a few weeks I’ll get used to the three red indicators and the fact that they are red probably won’t even phase me anymore. But is getting used to these red indicators being normal really a good idea? I mean, won’t it cause me to give red indicators on other devices less criticality than they might deserve? As a software designer, I’ve always been taught that red indicators were only to be used for errors or problems or critical situations where the users attention needed to be drawn immediately toward a situation for awareness and/or corrective action. Who told the hardware and appliance designers that it was perfectly acceptable to use red for normal happy status indicators? Don’t these companies perform human factors studies and usability studies and ask potential users for feedback before starting mass production? I’m stuck with these red happy indicators now because even as picky as I am, I’m not going go to the trouble of packing these phones back up and finding my sales receipt and carting these phones back to the store and then having to go to the trouble of researching to find another phone that actually uses happy colors for happy indicators. It’s just too much trouble. I’m stuck with these phones with their un-intuitive indicator colors. This tuner/receiver uses a nice blue color for the main display, but it uses various red lights just to tell me about different modes that have been activated. 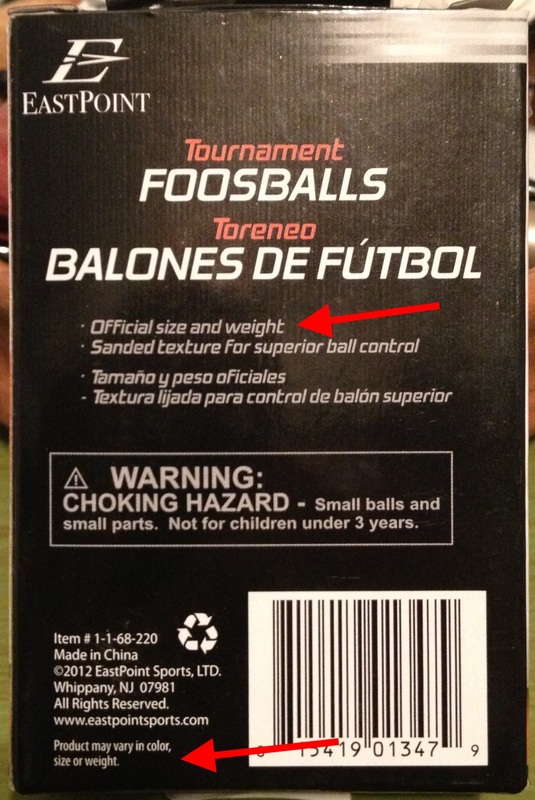 These different modes are completely normal and should not be indicated in red, in my opinion. 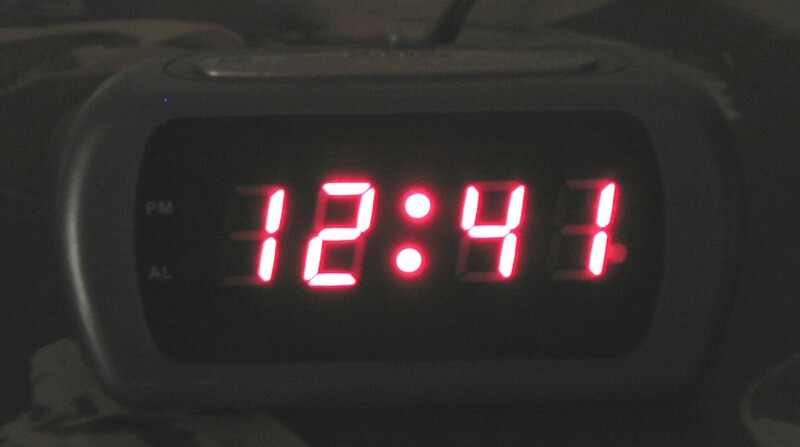 I haven’t done any research on the topic, but I believe that a large percentage of digital alarm clocks today use red for their displays. Is red easier to see in the middle of the night without your glasses/contacts than blue or green? Please educate me, because I don’t understand this color choice. 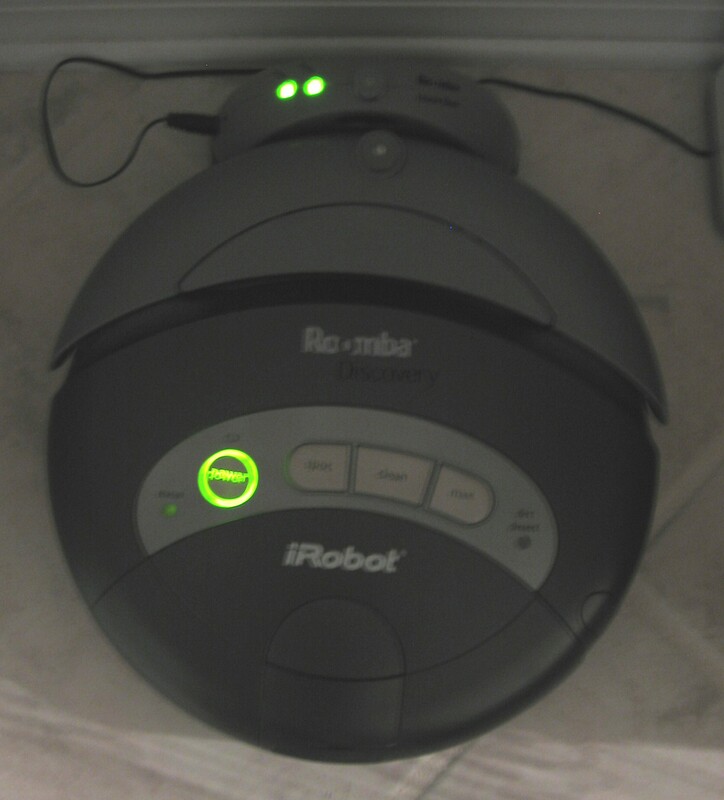 We love our iRobot Roomba floor vacuum and I couldn’t be much happier with the user interface. While it’s charging, the power indicator beats like a heartbeat and changes between orange and green. When fully charged it sits happily at solid green. This is intuitive to me. The folks at iRobot have a winner. 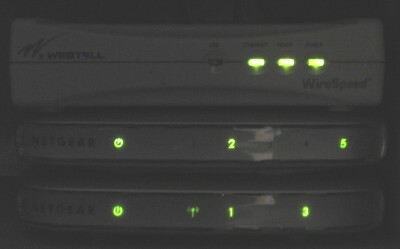 In our computer room we have a DSL modem, a wireless router and also an Ethernet switch. 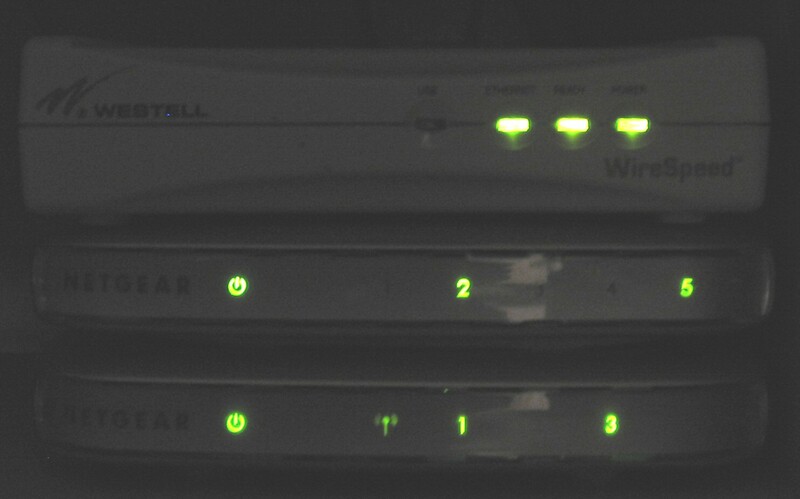 Ninety nine percent of the time that I glance at these devices, all the lights are green. If I see a different color or no lights at all, then something is probably wrong. Stove and toaster oven lights are red when the heaters are on, even though that’s the normal operation for that appliance. That okay in that case, because I want to be drawn to these lights if they are on for more than the relatively short period of time while I’m cooking. In this case, I think it’s okay to use red, since I could potentially burn my food or even burn down my house if this “normal” mode of operation stays in use for long periods of time. I highly recommend both of these books. They are both worth reading whether you design websites, stand-alone computer applications, portable electronic devices, cars, or space vehicles.